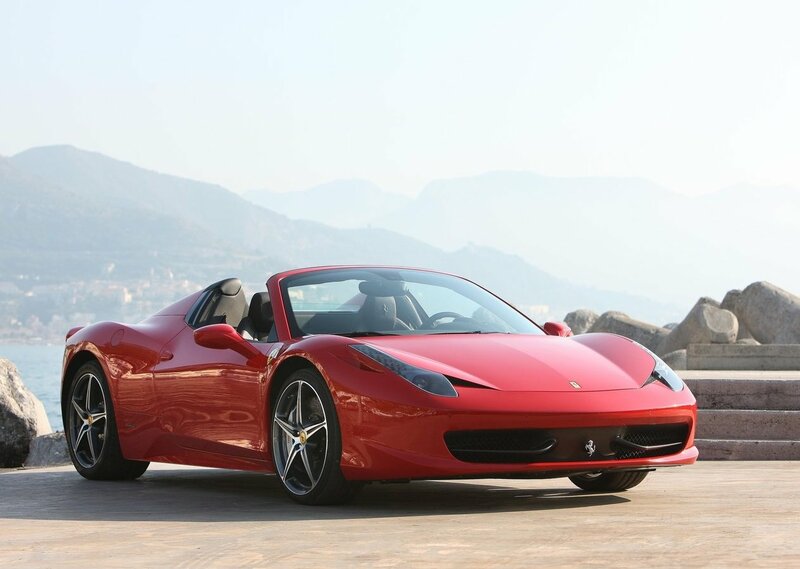 Our newest Ferrari rental the incredible Ferrari 458 Spider is a perfect addition to our San Diego fleet of exotic cars. With world class performance, a luxurious leather-wrapped interior, and a dynamic and flowing body, the Ferrari 458 Spyder personifies what Ferrari stands for; namely, building the finest sports cars in the world! 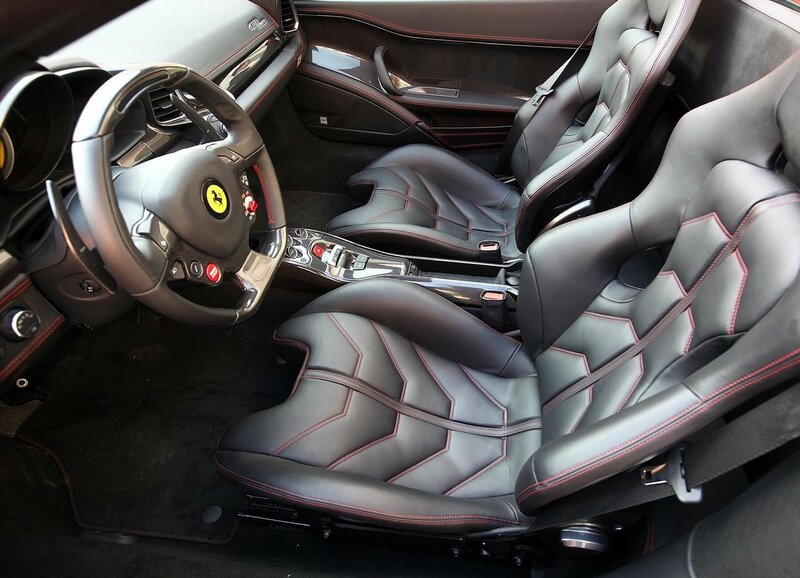 If you are a die hard Tifosi and need to get your hands on the latest and greatest from Maranello, or you have always dreamt of driving a Ferrari up the Pacific Coast Highway, you must take advantage of the ferrari rental options available at San Diego Prestige. 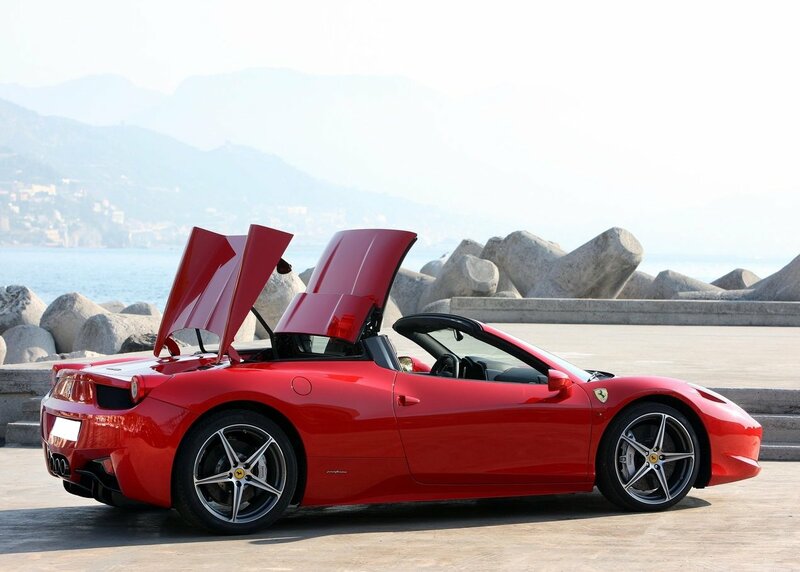 We can assure you, the Ferrari 458 Spider will not disappoint! The only disappointment will be having to drop it off when you’re done! The Ferrari 458 is quite simply one of the fastest street cars ever produced by the Prancing Horse. With a 4.5 liter V8 engine that produces 560 horsepower at an astounding 9,000 rpm, a 7-speed sequential paddle shifted Formula One transmission, advanced electronically-controlled differential, magnetic dampers, and massive brakes, the 458 is capable of performance that would rival the company’s own flagship models from just a few years ago. That being said, the car is designed with driver comfort and driver usability in mind; both elements that have been continuously improved upon and incorporated into the company’s street cars since the F355 was introduced in the early 1990s. 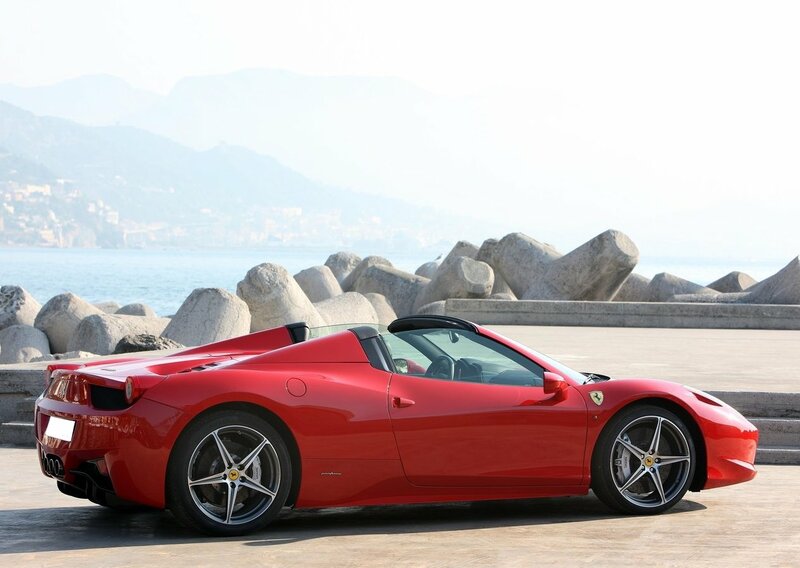 If you are interested in a Ferrari rental in the greater San Diego area, including Los Angeles, Las Vegas, and Southern California, we would be happy to put you in the car of your dreams at San Diego Prestige Rentals. As motoring enthusiasts, we believe that everyone should have the opportunity to drive some of the world’s great cars, and we can say categorically that the new Ferrari 458 Spider falls into that category. 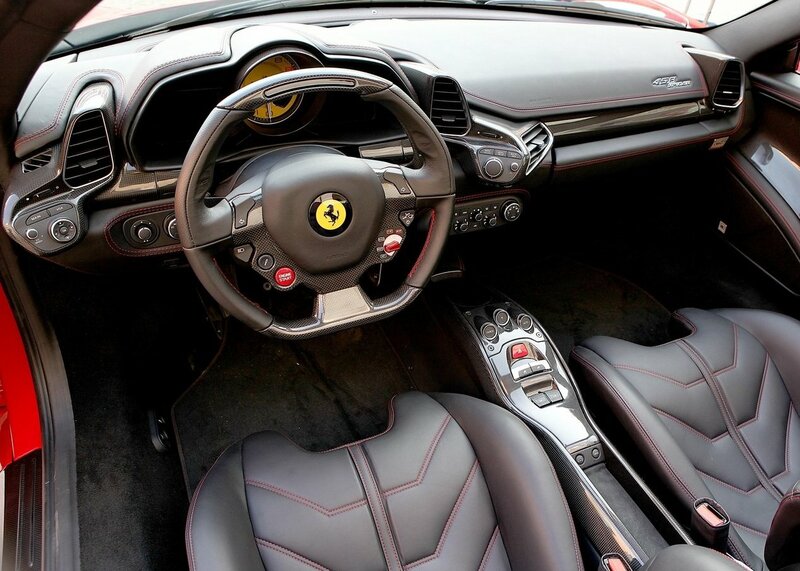 To inquire about a Ferrari rental, please contact San Diego Prestige Rentals today!